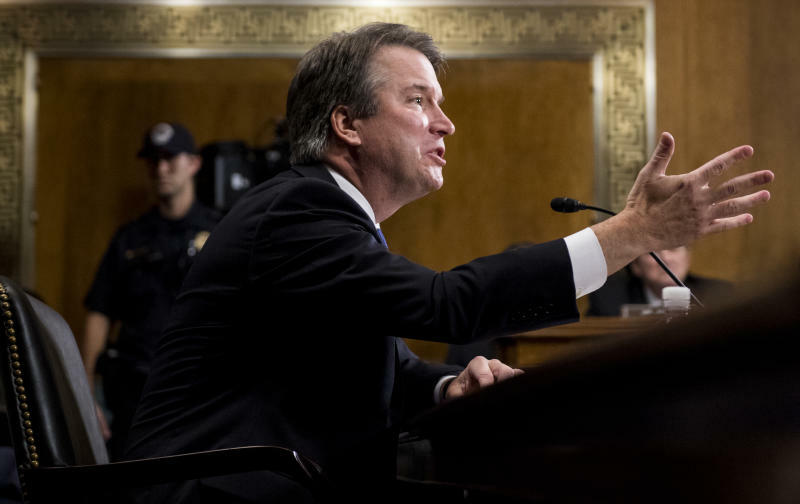 WASHINGTON (AP) — The woman who has accused Supreme Court nominee Brett Kavanaugh of sexual misconduct when they were students at Yale has agreed to cooperate with an FBI investigation, her lawyer said. Deborah Ramirez's lawyer, John Clune, said Saturday that agents want to interview Ramirez, who said Kavanaugh exposed himself to her at a party in the early 1980s. Two other women have accused the appeals court judge of sexual misconduct. While the precise scope of the reopened background investigation of Kavanaugh remained unclear, President Donald Trump told reporters Saturday that "the FBI, as you know, is all over talking to everybody" and said "this could be a blessing in disguise." Ford was fake.I did not believe a word of what she said...The mainstream media as expected, is on her side;whew are her school year books and the detailed professional activity so the public can see?